Here at Speedhunters we do things a little differently. We’re not news hunters, publishing every last update about how model X has received upgrade Y; we cover many major motorsport events, yet eschew the traditional event reporting style to search out the real, behind-the-scenes stories that you can’t access anywhere else; we approach the subject of car culture with a broad brush, regardless of scene. We live for the love of everything automotive that we each have inside of us, and hand-pick the finest tidbits with which to tickle your car-based tastebuds. Now, you will have to forgive me if I sound overly passionate here, but you would too if you had just spent a few hours admiring one of the most beautiful modern-day cars ever made. 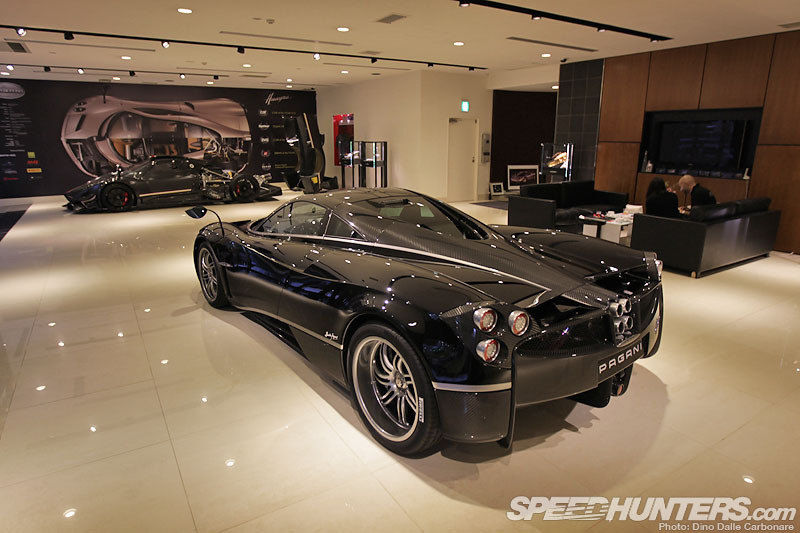 Last week Pagani Automobili officially entered the Japanese market, debuting the Huayra at a state of the art dealership in Akasaka – right in the heart of Tokyo. 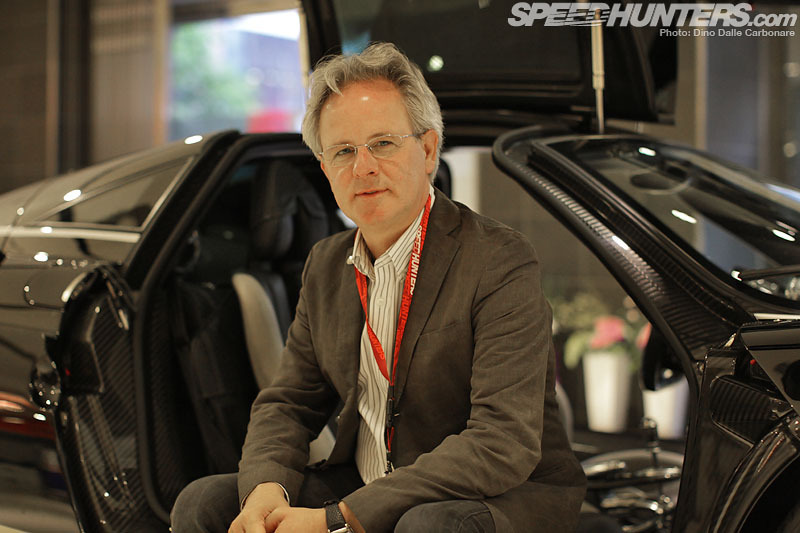 Since our tour of the Pagani factory back in 2009, lots of exciting things have happened with the brand, from launching an all new car, to building a few more limited edition specials of the Zonda, as well as setting up a much larger all new factory to boost production. 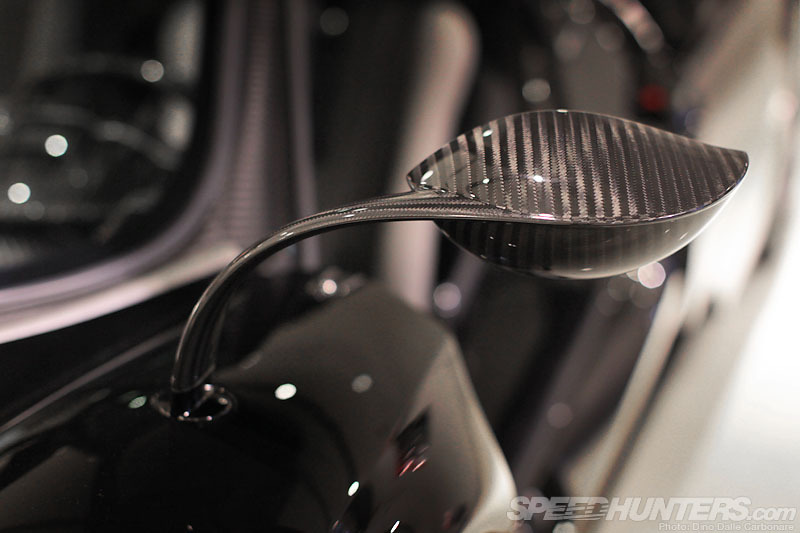 … something I got to do while I was walking around and shooting the first Huayra built for Japan. What a treat! The best thing of all is that my allocated time was right at the end of the day, meaning the hoards of Japanese media had already finished, leaving me with an empty dealership to shoot at. … as well as the choice of materials. 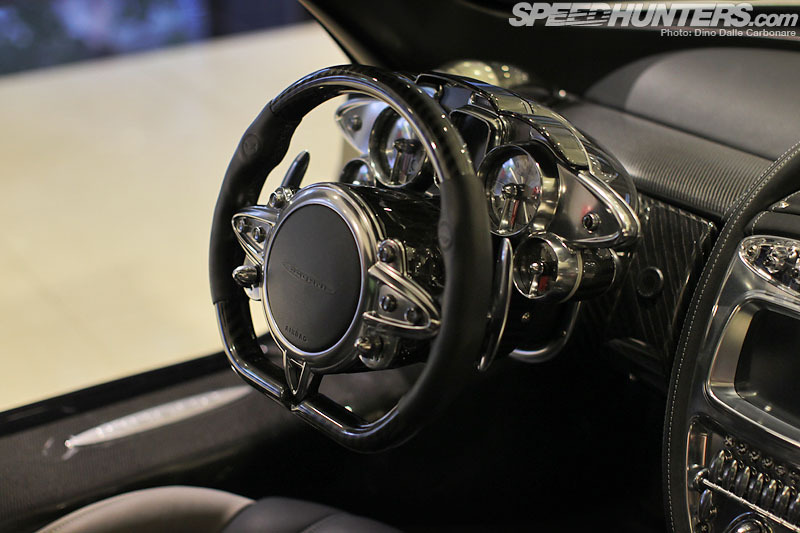 Each detail, from those stunning carbon fiber fender mounted mirrors – which remind me of the spaceship in the Flight of the Navigator movie from the eighties – to the forged rims, in this case painted in a ‘liquid metal’ silver as Pagani calls it. 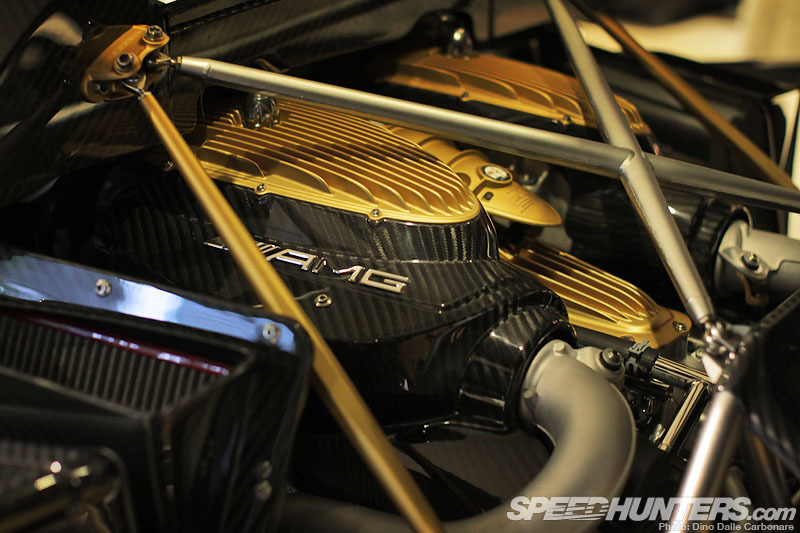 … to the titanium used on the lightweight exhaust system. 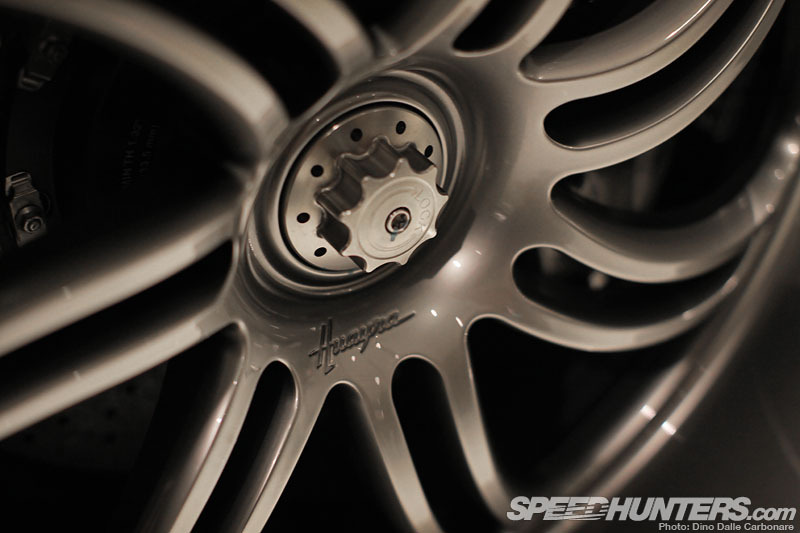 Everything you look at has an exotic feel, right down to the titanium bolts that are individually stamped with the Pagani emblem. 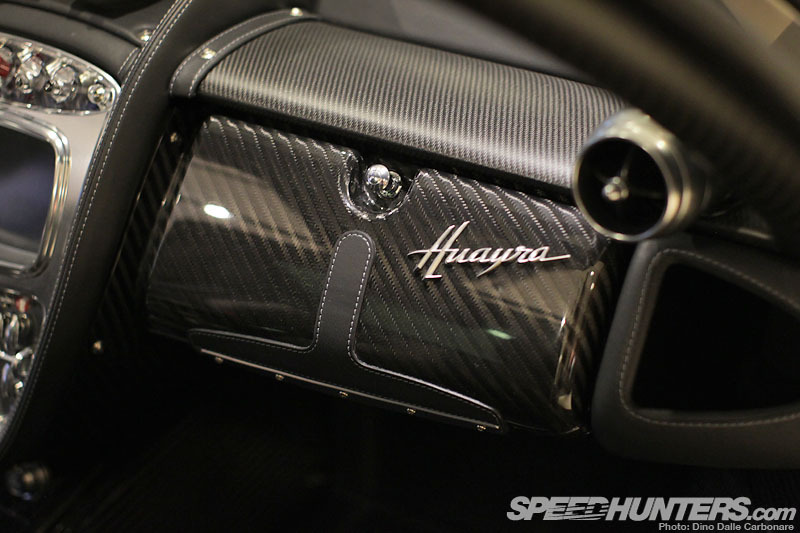 Even the silver carbon fiber around the signature quad-exhaust set-up is of special composition, especially created to shield the bumper from the heat the four pipes emanate. Just look at that rear end! For a boost of visual impact the two individually-operated rear wings/air-brakes can be lifted, along with the two up front. … wrapping around and over the rear cowl. It’s hard to give an accurate representation of the Huayra’s proportions in pictures, its lines are very sensitive to focal length as well as point of view. 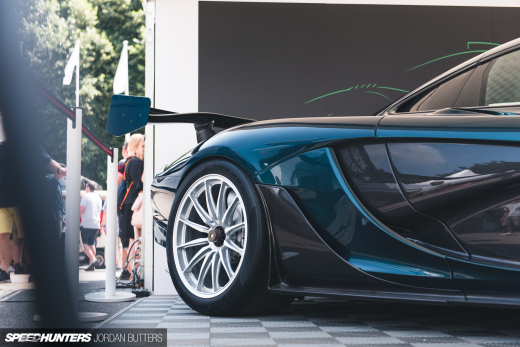 This is without a doubt a car you have to see face to face to fully appreciate. And then you come to the cabin. 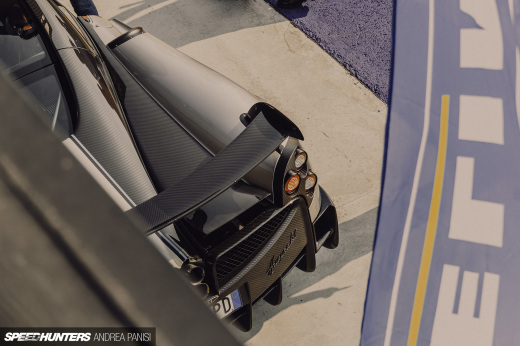 The actual tub is made using a special type of carbon fiber that Pagani himself came up with, meshing titanium in between the carbon weave – something we first saw on the Zonda R in 2009 during our tour. 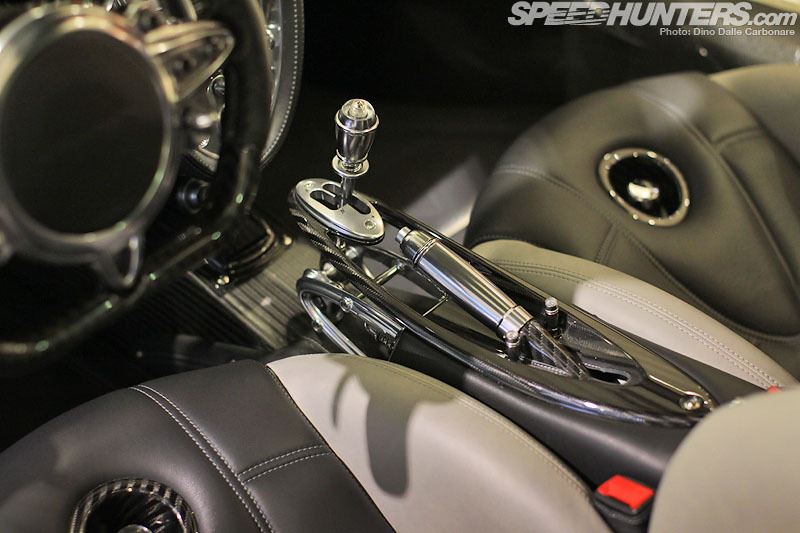 … or leather and its all arranged in a way that only Pagani knows how to do. The best way I can describe the instrument binnacle is to compare it to an expensive high-end designer watch, it’s very unique and unconventional, but after a while of looking at it, it makes perfect sense. The carbon seats are very comfortable and there is even a surprising amount of space inside, not to mention visibility with the amount of glass you’re surrounded in. Check out the selector to the custom built X-trac 7-speed transmission, probably one of the most visual aspects of the interior. 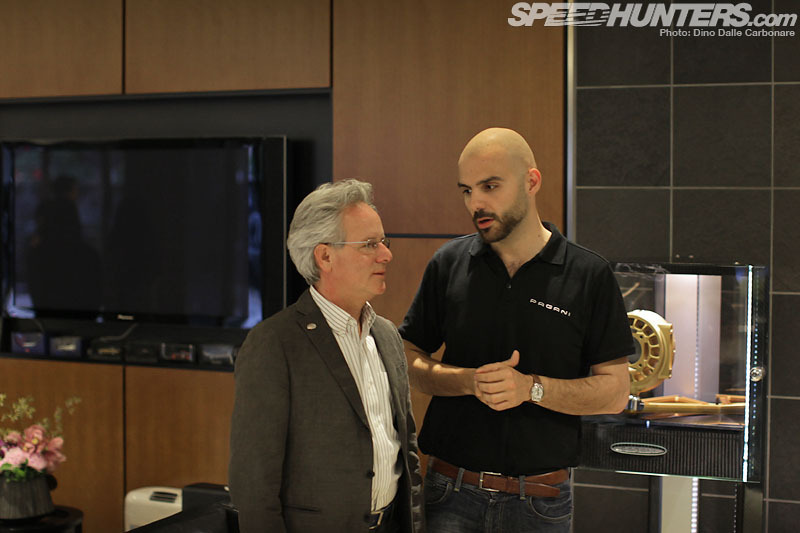 While the doors were open, Horacio Pagani even volunteered to model our new Speedhunters lanyard! Gracias! The white Zonda you may have spotted in the background is another limited edition model built for a Japanese customer, on display at the opening of the dealership. However if you are wondering about the ‘other’ black Zonda you may have spotted lurking in the background in a couple of shots, well I think you’ll agree that my decision to dedicate a separate post to it is a wise one. I think it will be hard to restrain myself from dropping by this particular Tokyo car dealer again, so I’m sure this isn’t the last time we will lay eyes on this car. 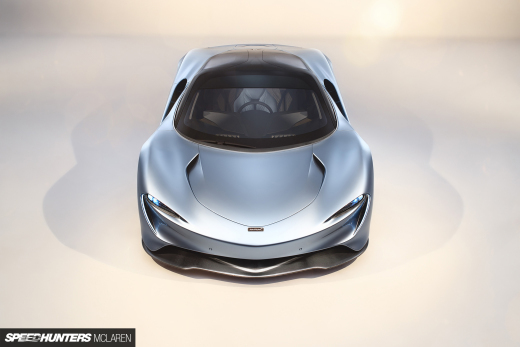 Maybe next time we can get to see it in action… now that would be something else!